Life insurance is something that every person needs, but it is not something into which you should go blind. Buying life insurance for the very first time can be an overwhelming process. You can count on running into terms and phrases which you may never have seen before, nor understand. But with a bit of research and familiarity, these terms are quite easy to comprehend. When your family’s future is at stake, you best know what you’re getting yourself into. 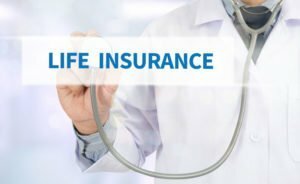 Before you purchase any life insurance policy, read these tips which are sure to help you make the right decision for you and your loved ones. This is a serious investment with much at stake and should not be made on the spur of the moment. Many people often hear more and more about life insurance as they grow older, and feel pressured into buying and needing life insurance. The biggest and most important reason that people buy life insurance is because they have dependents and want to support them after they are gone. Consider the needs of your dependents before you buy just any policy. There’s more to buying a life insurance policy than just signing a contract. There are two main kinds of life insurance that serve two different purposes. Whole life insurance lasts your whole life and accrues cash value if you happen to live into old age, and term life insurance only lasts a term but is cheaper. Life insurance can be overwhelming, but with a bit of thought and preparation, you can be ready for anything. Before you buy life insurance, you should make sure you know exactly what you are getting into. Don’t wait to contact Pierce Insurance Group in McKinney, Texas!